With the girls winning earlier the Gainesville boys completed the sweep beating Loganville 4-1. This win gives the Red Elephants a season mark of 9-5 and Region 8-2. With a little help the boys could still win the Region. If not they should finish second seed. Congratulations gentlemen on a great win. Go Big Red!!! With the girls winning their game it was up to the boys to complete the sweep tonight. Well the boys completed the deal winning 6-0. Congratulations gentlemen. Go Big Red!!! Red Elephant boys soccer tied in regulation at 1 all. Going to penalty kicks to determine a winner. Heritage prevailed winning 2-1. The boys soccer team defeated Apalachee tonight 4-1. Armando Hernandez, Alexis Salazar, Edwin Garcia, and Diego Porras each scored the victory. Congratulations gentlemen. Go Big Red!!! Gainesville boys were able to tie the game going into the half 1-1. The game was still tied 1-1 at the end of regulation. The Red Elephants were held scoreless at the end of overtime along with holding Winder-Barrow with no score. So we go into penalty kicks to put a final on this match. 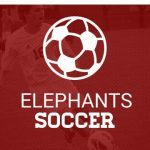 The Red Elephant JV soccer squads had a sweep of the teams from Winder Barrow last evening. As reported earler the girls won and the Red Elephant boys also defeated Winder-Barrow 4-1. Congratulations gentlemen. Go Big Red!!! It took overtime tonight for the boys soccer to defeat Oconee County. The Red Elephants won 2-1. Congratulations gentlemen. Go Big Red!!! Gainesville boys were successful Friday evening in their game against Clarke Central at home. The Red Elephants scored 3 goals and Clarke Central had 2. Congratulations gentlemen. The Red Elephants travel to Oconee County on Tuesday. Go Big Red!! !